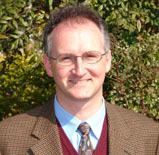 Darren Lingley is Professor of Intercultural Communication and Comparative Culture in the Faculty of Humanities and Social Sciences at Kochi University in Japan. He is a former Editor of JALT Journal, and currently serves on the EAB of the Journal of International and Intercultural Communication. His research interests include analysis of spoken language, intercultural communication, and teacher education. Darren coordinates a range of study abroad and field research programs, and helps students produce an English-language campus newspaper. He is the 2016 winner of the TESOL International Association’s Virginia French Allen award for outstanding scholarship and service to the organisation. Paul Daniels has been teaching EFL for over 25 years in Hawaii, Indonesia and Japan. He currently teaches at Kochi University of Technology in Shikoku where he is involved in designing and teaching a project-based ESP course for first year students. Paul is also an officer of the JALTCALL special interest group and is interested in developing mobile learning applications and Moodle modules for language learning. His current research examines how technology can be used to reinforce project-based instructional models. Gordon Bateson has a B.Sc. degree in Software Engineering from Imperial College, London and a M.Sc. in Teaching English for Specific Purposes (TESP) from Aston University, Birmingham, U.K. He has lived and worked in Japan for the last 20 years. He teaches English at Kochi University of Technology and develops add-ons for Moodle. Davey Leslie’s first EFL teaching experience was in 1974 helping his Taiwanese Wushu instructor improve his English pronunciation. Since then, he has worked with a great variety of students, from profoundly deaf pre-school kids to STEM researchers–and pretty much everything in between. He currently teaches at both Kochi National University and Kochi University of Technology. His main interest is in teaching second language composition.